SCM Press is delighted to be teaming up with Church Times for what promises to be a fascinating evening of discussion and debate on the future of the parish system. The Parish: Has it Had its Day? will bring together a panel of luminaries, including Paula Gooder, Jessica Martin, Graham Tomlin, Calvin Samuel and Nick Spencer to consider whether there is still a place for parishes within the 21st century Church. Along the way they will be cross-examining a series of ‘expert witnesses’ – David Goodhew, Andrew Rumsey, Alison Milbank and Andy Milne. The evening will be held at St Mellitus College, London and begin at 7pm (doors open 6:30 pm). Tickets are still available, but are selling fast. To book, or for more information, click here. Once again, we’re looking forward to crossing the pond for the American Academy of Religion and Society of Biblical Literature Annual Meeting, this year being held in Boston. The event brings together some 10,000 scholars over 4 days of seminars and meetings. As in previous years, SCM Press is proud to be hosted by our US distributor Westminster John Knox Press. You’ll find a selection of new titles from SCM Press as well as some key backlist on display at the WJK stand in the exhibition hall (booth 1910). You also have the opportunity to meet the SCM Press editor, David Shervington, to discuss your book project ideas. To make an appointment, email him at David.Shervington@hymnsam.co.uk . No sooner have they mastered the basics than students of theology can quickly find themselves in over their heads. They are bombarded with claim and counter-claim as soon as they want to tackle anything topical. The contentious subjects tend to be the historical Jesus, gender and sexuality, or the atonement. Other subjects might be less contentious but attract an astonishing excess of literature. 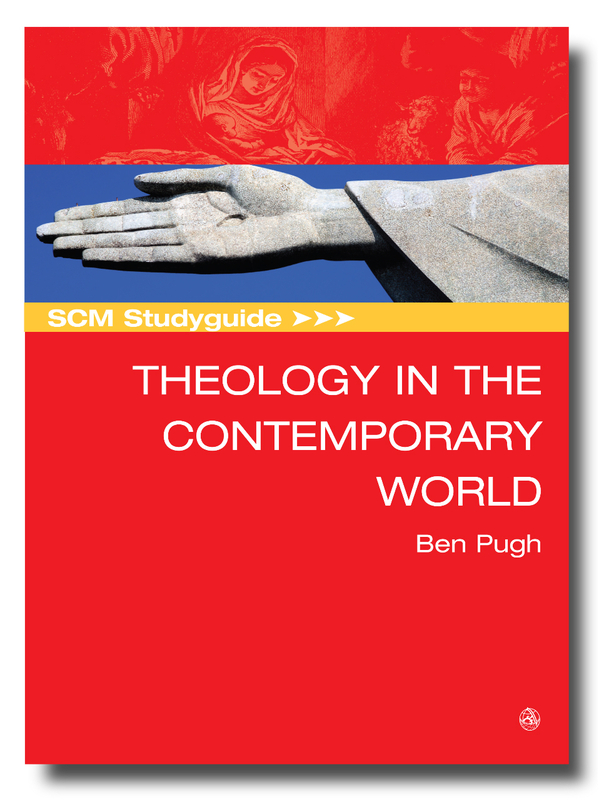 Our new Studyguide, The SCM Studyguide to Theology in the Contemporary World tries to provide the bewildered and intimidated student with a primer that is at once introductory and incisive; approachable and informative. It will help those training for ministry to recover their fascination for the subject of theology and how it could apply to their future ministry. It’s published in November. The ocean dominates both the surface of the earth and the pages of the Bible. 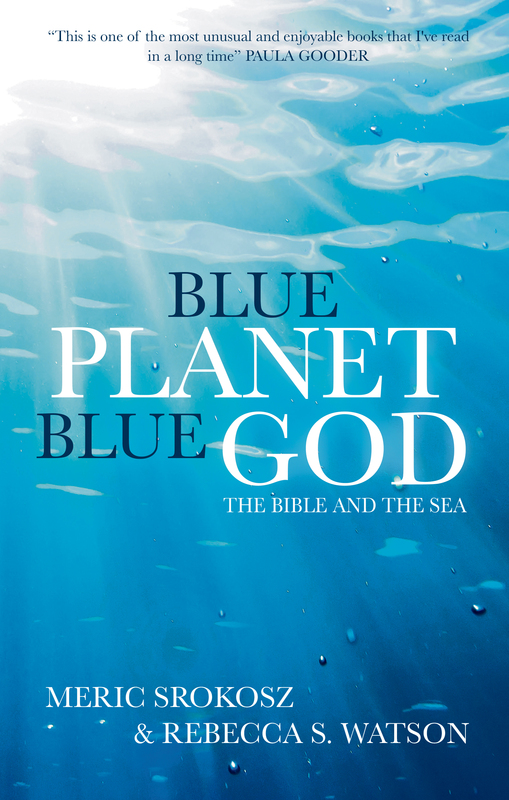 Blue Planet, Blue God is a truly unique collaborative project – bringing together an oceanographer, Meric Srokosz, and a biblical scholar, Rebecca Watson, to not only offer ecological insights on the sea, but also connect the ocean with other key issues of broader concern-spirituality, economics, chaos, and our place in the world. Each chapter concludes with ideas for discussion and reflection, and for suggested actions in the light of the issues raised. The book will present a fresh new lens through which to view the Bible and as such inform biblical scholars, students, and preachers alike. The book is out in November. Coming in October is New World, New Church by Hannah Steele. The emerging church movement has quickly become one of the fastest growing ecclesiological phenomena in the west today. But there is still a debate to be had about whether accessibility should trump Christian orthodoxy. Offering an assessment of the impact of the emerging church upon the church in the West, and examining the thinking of the movement’s leading proponents including Brian McLaren and Rob Bell, the book affirms what is good and insightful in the emerging church and offers a robust critical evaluation of its theological revisions. 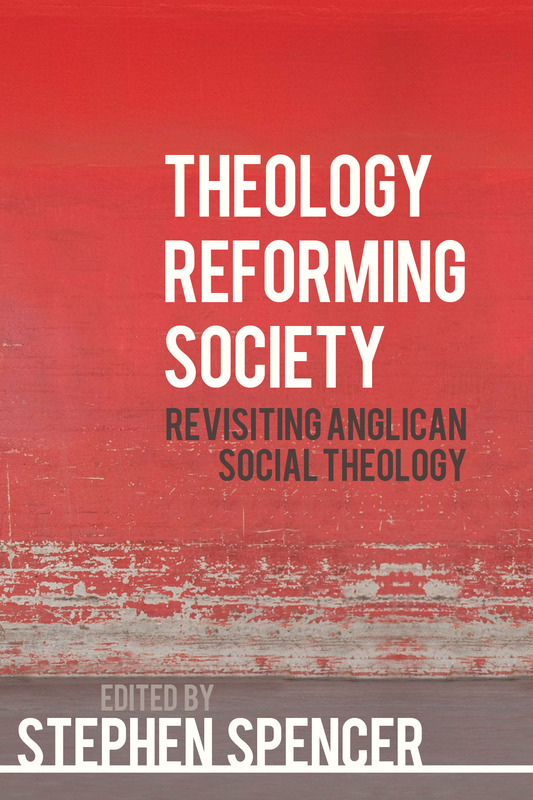 Also published in October, Theology Reforming Society tells the story of Anglican social theology from its roots in the writings and work of F. D. Maurice and the Christian Socialists, including Charles Kingsley and John Ludlow. It looks at second generation figures such as Charles Gore, Henry Scott Holland and the Christian Social Union as well as the central figure of William Temple, clarifying his role within the tradition. It also looks beyond Temple to the work of the Board for Social Responsibility, and to some of the theologians and church leaders who have continued its witness since then. Referring to the wider ecumenical context in order to draw out the distinctive features of the tradition of Anglican Social Theology, the book provides an important and comprehensive account for all those interested in studying and teaching Anglican theology, social and political theology and Christian ethics. Since its beginning in the 1990s, Radical Orthodoxy has become perhaps the most influential, and certainly the most controversial, movement in contemporary theology. Preaching Radical and Orthodox, published in October, offers an introduction to the Radical Orthodox sensibility through sermons preached by some of those most prominent figures in radical orthodoxy. 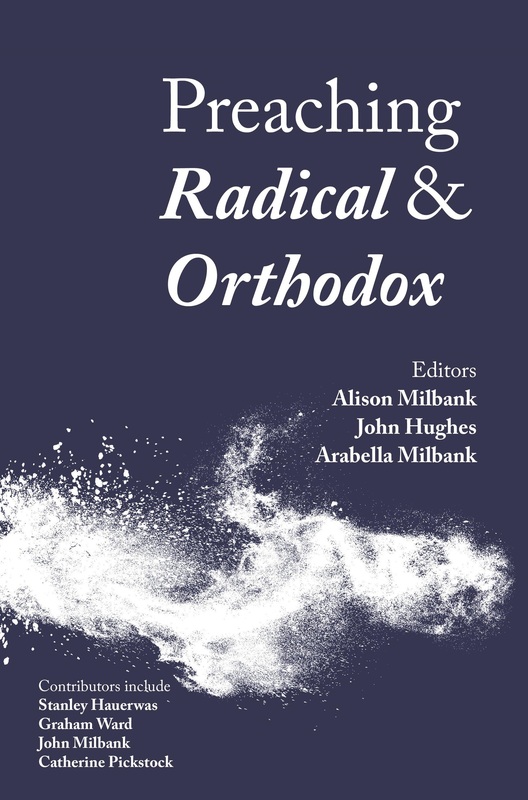 Conceived and edited over a number of years by Alison Milbank, John Hughes, and Arabella Milbank the book is accessible, challenging and varied, the sermons together help to suggest what Radical Orthodoxy might mean in practice. Contributors include Stanley Hauerwas, Andrew Davison, Catherine Pickstock, John Milbank, John Inge, Martin Warner and Graham Ward. The study of Christian theology in the last half century has seen a major renaissance in Trinitarian thought which has attempted to connect Trinitarian theology to all aspects of Christian faith and practice. 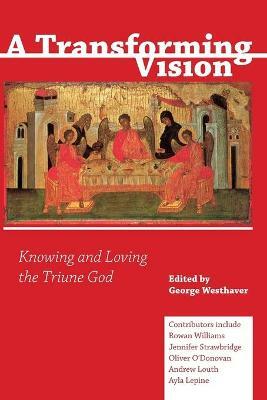 Drawn from papers given at a Pusey House conference in 2015, the contributors to A Transforming Vision explore what it means to know and love the Triune God, and how the knowledge of God can be a transforming and saving knowledge. A stellar line-up of contributors includes: Rowan Williams, Robin Ward, Oliver O’Donoven and Andrew Louth. Finally, we’re pleased to be publishing another title in our new SCM Research series this October. In Clergy, Culture and Ministry the late Ian Tomlinson considers the difficulties and challenges faced by any incumbent wishing to interpret and understand what is going on in their congregation and parish. He engages with the work of Wesley Carr to bring theory and practice into conversation by responding to each of Carr’s ‘propositions’ with a ‘critical incident’ from the author’s own parish experience. Completed very shortly before his death in 2016, Ian Tomlinson’s ground-breaking research has been edited by Very Revd Prof Martyn Percy, Dean of Christ Church, who also offers an introduction. 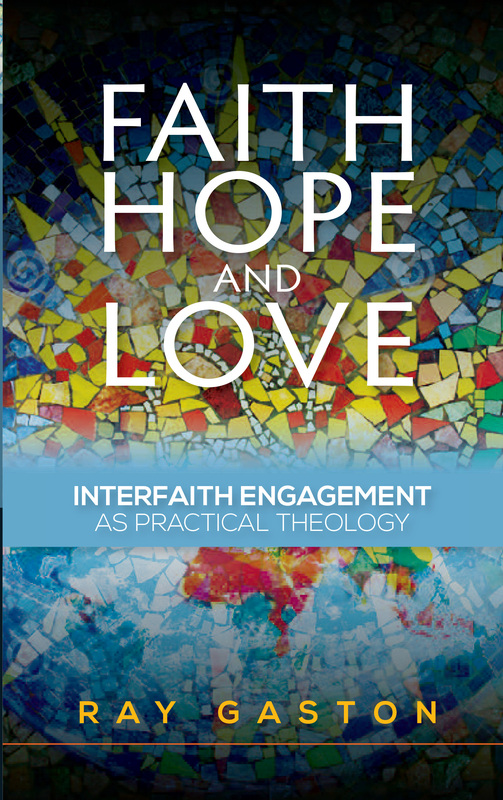 In Faith, Hope and Love Ray Gaston draws on contemporary models of research in practical theology, such as auto ethnography, qualitative interviewing and analysis of spiritual journaling, to explore grassroots Christian engagement with other faiths and its impact upon Christian self-understanding. Ray Gaston is Team Vicar of St Chad & St Marks in the Parish of Central Wolverhampton and Inter Faith Enabler for the Wolverhampton Episcopal Area and Advisor on Inter Faith Relations to the Bishops of Wolverhampton and Lichfield. Elaine Graham, Grosvenor Research Professor of Practical Theology, has contributed a foreword to the book – here it is in full. We live in a world that is both fascinated and troubled by religion. Twentieth-century predictions regarding the inevitable demise of religion have had to be revised in the face of the global resurgence of faith as a powerful political force. Secularisation looks increasingly like an exception to the rule, contingent upon the historical trajectory of Western liberal democracy. Instead, globally speaking, as Peter Berger famously put it, the world remains as ‘furiously religious’ as ever. But for those living in the West – and particularly in that north-west corner of Western Europe that is the United Kingdom – the ramifications of what comes after Christendom are taking a while to settle into perspective. This new dispensation, which many are calling ‘postsecular’, is one in which religion is increasingly prominent in public life, but where many major public institutions struggle to make sense of its ramifications. Local and central government look increasingly to faith communities themselves for creative and locally-based initiatives, from everything from social care to urban regeneration, but generations of secularisation have eroded society’s reserves of religious literacy, meaning we are ill-equipped to negotiate the challenges and opportunities of an increasingly religiously diverse and pluralistic culture. As this book indicates, the legacy of multiculturalism is increasingly contested; and yet politically there is little in the way of a constructive alternative. Furthermore, the peculiar nature of postsecular society means that this new visibility of religion is not universally welcomed. One legacy of the Western Enlightenment, namely the resistance to religious voices in public places, still endures, meaning that faith groups are simultaneously wooed for their rich social capital and under growing pressure to justify their very presence in the public realm. What, then, are we to do? Ray Gaston is right when he says that part of the challenge to people of faith is about finding renewed resources for a new kind of public, practical theology: one that is capable both of engaging with the realities of religious and cultural pluralism and of ensuring that Christians themselves are nurtured, theologically and spiritually, to exercise an effective discipleship. Often in contexts of interfaith dialogue, Christians are put to shame by their neighbours of other faiths who demonstrate a much greater level of religious literacy and intercultural curiosity. Ray Gaston’s book is in part a record of his attempt to redress that imbalance of knowledge and understanding, as he undertakes his own personal journey into the life-world of his Muslim neighbours and accompanies them through their religious devotions and obligations. One of the strengths of this book, however, is its insistence that such practices of interfaith engagement and accompaniment also need to be informed by serious theological thinking. In order to stand alongside our Muslim neighbours, Christians need to turn to, and befriend, the roots of their own tradition, since to seek empathy with the other is to ask fundamental questions of one’s own heritage. In this respect, Ray Gaston weaves together the threads of action and reflection – embodied in parish ministry and theological education — in a highly accomplished and sustained piece of practical theological method. This is a journey that begins with an attempt to come alongside his neighbours, and which blossoms into sustained solidarity and accompaniment with the other, informed by a deep commitment to the preferential option for the marginalised. The process continues with serious immersion in the sacred texts and practices of one’s own tradition and those of others, sparking a theological reflection that risks difficult questions but which results in renewed practices of citizenship informed by the Biblical convictions of faith, hope and love. As this book argues, these virtues of faith, hope and love all have their place within the new postsecular economy. Faith means having a reflexive, self-aware understanding of what it means to be a person of faith in a world in which that is deeply counter-cultural (and often suspect); and of being prepared to ‘give an account of the hope we have’ (1 Peter 3:15). But this rests, as Ray Gaston is quick to note, on a willingness to enter more deeply into the sources and norms of one’s own tradition, in the belief that dialogue with the other necessarily brings deeper self-understanding as well. Hope looks forward in anticipation to the possibilities of a greater wisdom and more expansive vision born out of the dialogue; and love is the expression of the fruits of that process of dialogue and engagement: the ‘dividend’ if you like, generated out of the investment of time, prayer, energy and care represented by simply being a faithful, local, presence one with another. This is, in Christian terms, a deeply incarnational undertaking. Pre-order Faith, Hope and Love now and you’ll benefit from a special prepub discount. To order, or for more details, visit our website. As the summer (what summer??) draws to a close, so to does our summer sale. It ends on 25th September, so there’s not much time left to take advantage of some of the bargains on offer. Included in the sale are selected SCM Core Texts. Written with second and third year university students in mind, they seek to bridge the gap between populist and accessible literature and more technical material which requires readers to have a particularly advanced understanding of the topics. There are Core Texts on a wealth of subjects, and included in our sale are Core Texts on Black Theology, The Book of Revelation, Christianity and Science, Bible and Literature, Paul, and The Pentateuch. SCM are to be congratulated on this series of Core Texts … which are readable and on a certain level introductory, but not without merit as important contributions to scholarship themselves. 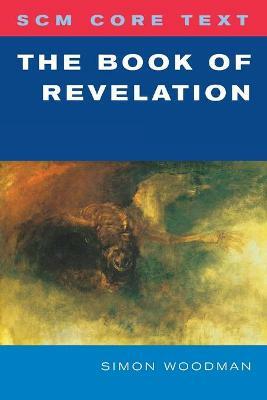 Revelation brings out highly contested to outright ridiculous readings and so Simon Woodman (Tutor in Biblical Studies at South Wales Baptist College) is to be thanked for providing an introduction to the book of Revelation that is measured and helpful. Woodman appears to have read, if not every, then almost every, book on Revelation and provides the reader with an interesting array of different voices that have interpreted the text both recently and historically. The book is divided into three parts. Part one is an introduction the book, different ways it may be read, some of the key issues of debate and an overview of Revelation chapter by chapter. Part two is called ‘Meeting the Characters’ and this is an excellent introduction to all the different and many characters. Characters are grouped together – so Jesus, God and the Spirit; the people of God (i.e. the saints, the elders, the multitude, etc); the inhabitants of heaven and earth; and the forces of evil. There is a brief character study on each, drawing in Old Testament background, as well how the character is depicted or developed within the book. (Buy the book just for part two alone). Part three consists of three chapters that engage with the imagery and how the message of the book may have been heard by its first readers (and listeners) and those of us reading and hearing it today. This final section works in many ways as a piece of pastoral theology, showing how Revelation itself is ultimately a letter of pastoral care. It is often considered controversial to draw any links between the worlds of leadership, management and organizational behaviour and that of the church. This month sees the publication of Leading by Story by Vaughan S. Roberts and David Sims. The book argues that there is plenty of common ground to be found between the two apparently disparate areas, in particular with the role of story and stories. 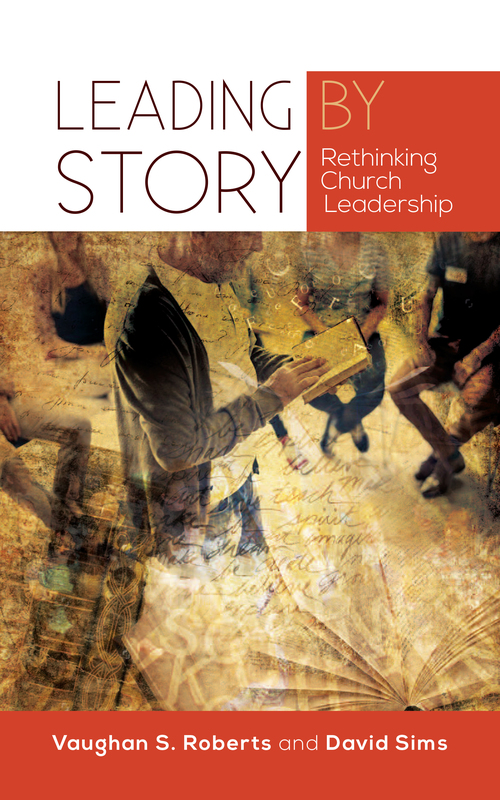 Here’s an extract in which the authors begin to explain how storytelling might inform leadership. We dream in narrative, we daydream in narrative, remember, anticipate, we hope, despair, believe, doubt, plan, review, criticize, build, learn, hate and love by narrative. This chapter opens up a theme that will continue throughout this book about the value of a storytelling view of leadership in churches. One of the things we know about ourselves as a species is that we tell stories, we develop our own stories, and we enthusiastically consume stories told by others. In church, we hear stories from the Bible and are invited in sermons to think about our own story, who we are in relationship with God and with others. We are challenged to consider the totality of our story, to death and beyond. Jesus is recorded in the Gospels as having frequently told stories, using parables and talking to people about their stories and how they saw those developing in the future. A narrative approach to leadership would seem to be the natural approach for his followers to take, and has been explored in biblical studies (for example Wright, 1992) and theology (for example Loughlin, 1996; Smith, 2009, 2013). When leadership happens, people are writing themselves into others’ stories (Edwards, 2000). If you enable something to happen you must be making at least a guest appearance in the stories of the other people involved. We all take some of our sense of effectiveness and personhood from believing that we have had some part in other people’s stories, and this is one of the motivations for leading. In everyday conversation there are several different ways in which the word ‘story’ is used. For example, there is the sense of ‘just a story’, in contrast to ‘the truth’. The implication is either that a good story is a way of blinding people to the truth or that storytelling is a kind of second-order activity, inferior to other ‘rational’ forms of discourse as a way of conveying what we want to say. Of course, storytelling is always selective. If someone asks you to tell them what sort of day you have had you will tell a story. It is impossible to tell them everything that has happened; there is not enough time and they will not attend for long enough. In order to keep their attention and to help them reach the conclusions about you and your day that you would like them to reach, you make choices about what to include and exclude. Similarly, when a colleague enquires of another minister or a bishop asks a priest about how things are going in the church, the answer can only be a story, and it can only be the story as understood by the teller. It will usually be their truth; there is no reason to suppose that people deliberately mislead any more when they are telling stories than when they are giving supposedly objective answers to census returns. Even when data are given in statistical form, any attempt to read them or to talk about them will immediately turn them into narrative form. The role of the church treasurer includes responsibility for telling a story about tables of figures which other members may find boring or incomprehensible – to take the accounts and to use them to tell a story. This story will give them a meaning, and that meaning is chosen by the treasurer. Steve Denning illustrates this process of choice with the example of the Titanic. It would have been possible, he points out, for the newspaper headline the day after the sinking to have said ‘700 people safely reach New York’ (Denning, 2011a), but that was not the choice of meaning made by the press. When conflict occurs in the Middle East, it is quite common to see almost exactly the same story (coming from the same newsfeeds) in different newspapers, but with headlines that blame different parties. We frame data according to what we think others should pay attention to. Sometimes this may be for our own benefit, but more commonly we will see it as our way of helping the other person to see through to the core points of what we are talking about. Boje (2012) uses the word ‘antenarrative’ for the resources that are available for storytelling (as in the example of the accounts) and ‘narrative’ for the story that gets created from them. When data are presented statistically, this may be not an alternative to storytelling but a part of the storytelling. As Gearóid O’Crualaoich (2002) has commented, an important part of telling any story is the warranting of its reliability. In his case, working with Irish folk stories, a frequent warranting phrase is, ‘It was a priest who told me . . . ’. In current western culture our fashionable way of warranting a story is to give some statistics that we claim support it. The link between the statistics and the story being warranted may be distant, the logic may not bear close scrutiny, but it is expected that we should have some statistics as part of the narrative (for a careful use of this approach, see Woodhead, 2013). This can be part of an evidence-based approach to whatever we are doing; the statistics can be used to confirm that we are actually achieving what we are trying to achieve. One of the characteristics of storytelling is that it handles complexity and ambiguity better than many other forms of discourse. Stories are usually told with a certain amount of redundancy, points that may not be relevant but may be interesting, the possibility of more than one outcome, some ambiguity about what are the central plot lines of the story and the essential actors. In addition, they are told with decorative flourishes, but part of the art of storytelling is to leave it unclear whether a particular statement is decorative or a load-bearing part of the narrative structure. It is typical of good storytelling that ‘the dog that did not bark in the night’ (Conan Doyle, 1893) could have been irrelevant until late in the story, when it emerges that it is doing part of the narrative work. Similarly, a joke may be introduced into a story to gauge the audience reaction to it, to test out their attitudes. If they react badly to it, the teller dismisses it as ‘just a joke’. If they react well, it may be an area of further development later. Also, discussion may take place through stories. In one church the minister was frequently surprised that when he laid out a series of options to the management committee the response was not a discussion of the merits and demerits of the choices but a series of stories adjacent to the proposals. His initial frustration was gradually replaced by a realization that this was how that community dealt with proposals for change, and also possibly how they held conversations. Storytelling was the form of discourse through which decisions were made. The most memorable and influential stories invite the listener to participate by leaving some open questions as to what they mean and how they might be interpreted. Barthes (1974) speaks of ‘readerly’ and ‘writerly’ texts, where readerly means that you cast the other person into a relatively passive role where they read what you are saying, and writerly means that they are seen as active co-authors of the script. Both are possible when we are writing ourselves into others’ stories. If our storytelling is readerly, they are less likely to get us wrong, because their interpretive contribution will be less, but they are also less likely to be led anywhere by us. If our leadership storytelling is writerly we may be misinterpreted and people may well not do what we want, but they are much more likely to do something as a result, because it will be their something; they have felt invited to participate in writing the story. Once again, the managerial desire to control is likely to make a church more predictable, if that is what you think a church should be! It is also likely to make it less active. For example, in most cases, the parables of Jesus are reported without instructions on how they should be interpreted. Such a relaxation of control by the teller invites the listeners to become involved in what is being said, to think themselves into the story being told and to empathize with a character within it, thus making their own meaning out of what is being said. This is much more likely to produce learning that changes the learner than if the meaning of the parable were more tightly controlled by the teller. Storied communications are often an important part of effective leadership. Part of leading is to create a story around your organization. What kind of church is yours? Why would people want to be part of it? If they become part of this church, what can they expect to find themselves part of in a few years’ time? What kind of story have they joined? How are they going to be invited to develop and grow if they join this story? If I become part of this church, what contribution can I make? Am I needed here? Finding a story that people can contribute to, in which they can find characters to become, and where they can help in making that story real, is one of the most inspiring ways to be led. Parry and Hansen (2007) have argued that we all follow organizational stories as much as we follow people. ‘People join with the narrative, rather than follow the leader.’ In other words, one way of leading is to create and tell a story that people will wish to follow, or involve themselves with. Thinking about leading by story is important not because it is a new way of leading, but because it is what is happening anyhow, but its narrative quality has not been understood. Weick (1995) says that stories can be prophecies because they help people to make sense of what is going on, and people then act in accordance with that sense. So a believable story about how openness to different sexualities might threaten the doctrinal purity of a church can be enough to produce a fear-driven reaction, and the tightening of purity codes. If you do not tell the story of your church it will not remain untold. Someone else will do it for you. But you will have abrogated responsibility for the story, unless you support someone else to become the storyteller. Unconsidered, stories have a way of becoming the reality, as Weick argues. They will not remain untold, but may be told in a much less constructive way if you leave them to take their chances. Bennis and Nanus (2004) say that leaders are purveyors of hope. If the story is purveying hope, then the story is providing leadership (Parry, 2008). Powerful stories do not get told and then forgotten. Stories get told and retold, sometimes through successive people but quite often by the same group of people, in the same way as families retell old stories about their family at gatherings (‘Do you remember when Grandpa took his bicycle to pieces . . .?’). Parry (2008) argues that stories go on being told so long as each person has an understanding of the story that gives them hope for a better existence. Even if this role is a relatively minor one, this still gives a role from which they can act and from which they can try to make a contribution. Parry uses the example of the alternative stories that were provided by Martin Luther King and Malcolm X for the role of black people in the United States. At the time the two stories seemed to be equally powerful, but in hindsight Martin Luther King’s story gave grounds for hope and roles for all participants, and it has survived and still influences American culture, whereas Malcolm X’s more conflictual, less inclusive story of black power was less attractive and has disappeared (Parry, 2008). Perhaps we can look forward to a similar dissolving of the narratives of church decline that are so popular with some Christians. Rev Dr Vaughan S. Roberts writes and speak widely on organisational theory, leadership and the church and is the author of “Personal Jesus: How popular music shapes our souls” (2012) with Professor Clive Marsh of the University of Leicester and a contributor to “The Bloomsbury Handbook of Religion and Popular Music”. David Sims is Emeritus Professor of Organizational Behaviour at the Cass Business School. His research has been centred on narrative understandings of working life, and the implications of this for leadership. Leading by Story is published on 30th September, but you can preorder a copy now at a special discount price. Don’t miss out! By any reckoning, Reverend Gilbert White’s The Natural History of Selborne – staggeringly, the fourth most published work in the English language – is an unlikely success story. Essentially a journal of the fauna and flora found in one eighteenth-century Hampshire parish, its intensely local focus is (alongside White’s winsome prose) undoubtedly the key to the book’s appeal. It also, I believe, highlights a neglected aspect of the Church of England’s ailing parochial system that holds huge contemporary relevance. Leaving aside the enviable freedom of the single-parish incumbent in this era to attend to broader interests, the essence of Mabey’s tribute is profoundly significant. It is not his concern to explore the theological implications of being the ‘curator’ of a locality, nevertheless the resonances with the pastoral ‘cure’ still retained by the Anglican parish priest, are plain – and it may be contended with some force that truly parochial ministry is pastoral on both counts – formed by an ecology of care for a particular place, its people and their relation to the land. The ecclesiastical parish has always been an explicitly grounded community, capturing the inherent, spiritual bond between human and physical culture. In this sense it is a localised form of ‘culture’ itself, whose portmanteau of meanings carries both worship (as in ‘cultic’) and the delving of the earth (from ‘coulter’ or ploughshare). By virtue of these resonances, matured through an incredibly long tenure of the English landscape, the word ‘parish’ evokes – uniquely in my view – a natural partnership between human community and the earth beneath our feet, whose future welfare is conjoined with our own. This potency of parish as a concept has long been recognised in the pioneering work of Common Ground, the environmental charity that Richard Mabey founded in 1982 with Sue Clifford and Angela King. Reviewing their long-running Parish Maps project, which encouraged neighbourhoods to imaginatively portray their locale, Sue Clifford explains that they settled on the term because ‘the ecclesiastical parish has been the measure of English landscape since Anglo-Saxon times.’ The word ‘parish’, Clifford argues, offered what no other term could: an equivalent to the German heimat – a way of describing ‘the intersection of culture and nature’ and ‘deeply felt ties of familiarity, identification and belonging’. The word ‘parish’ thus becomes an imaginative bridge between ‘real’ local communities and the less tangible, psychological responses through which we intuitively seek out a place of personal settlement and wellbeing. In a further assessment of Gilbert White’s parochial ecology, David Elliston Allen, in his landmark History of the Naturalist in Britain, described Selborne as ‘that secret, private parish inside each one of us’. Notwithstanding its need for deconstruction (the ‘each one of us’ in Allen’s statement presumably being only those to whom the word parish carries such emotional significance), the idea of the parish as an ideal of belonging is deeply suggestive in Christian terms. Because such notions are so culturally embedded – and always prone to a kind of territorial idolatry – the challenge is to keep alive the vision of ‘another country’ – a heavenly place that can act as both a corrective to, and inspiration for, the present one. Only then can parochialism be saved from becoming, on the one hand, a doomed Utopian quest or, on the other, a stagnant cipher for lost homeland. The danger – heightened in the current climate – is that debate about place becomes unhelpfully bipolar, such that attachment to territory falls victim to easy caricature as reactionary, exclusive and politically right-wing, whilst liberal geographical discourse can appear dislocated and curiously placeless. Our response must not be to abandon the parochial idea for being anachronistic, but to find the means whereby its legacy – and the recovery of local ecology – becomes a key to unlock, not barricade, the future. In other words, if you want to set about building Jerusalem, start at Selbourne. Rev Andrew Rumsey is Rector of the Oxted Team Ministry and will be one of a host of luminaries – including Bishop Graham Tomlin, Professor Alison Milbank and Dr Paula Gooder – who will contribute to the discussion The Parish: Has it Had its Day? on 9th October. More details and tickets here. And don’t forget to enter our competition to win two tickets. In the run-up to our event Parish: Has it Had its Day? on Monday 9th October, we’re giving you the opportunity to win 2 tickets. All you have to do is tweet using the hashtag #TheParish, summing up what the parish means to you – be as provocative, imaginative or poetic as you like. If you aren’t on Twitter, you can still enter, just email your ‘tweet’ here , but don’t forget that it will need to be no more than 140 characters, and include the hashtag #TheParish. We’ll judge the best entry and the winner will win two tickets to the event and a copy of Andrew Rumsey’s new book Parish: An Anglican Theology of Place. The runner up will win a copy of Andrew Rumsey’s book. Andy Milne founded Sorted!, a fresh expression in Bradford and us the author of The DNA of Pioneer Ministry . He’ll be contributing to Parish: Has it Had its Day? as an ‘expert witness’. Paul Handley is editor of the Church Times, co-hosts the Parish evening with SCM Press. David Goodhew is Director of Ministerial Practice at Cranmer Hall, Durham and Director of the Centre for Church Growth Research. He’ll be contributing to Parish: Has it Had its Day? as an ‘expert witness’. David Shervington is the Senior Commissioning Editor at SCM Press. The competition closes on Tuesday 12th September at 11:59pm, after which the judge will decide the best entry. The winner will receive two complimentary tickets to The Parish: Has it Had its Day? and a copy of Andrew Rumsey’s book Parish: An Anglican Theology of Place. 1 runner up will win a copy of Andrew’s book. For more information about The Parish: Has it Had its Day?, including a full list of participants, and to book tickets, click here.